This list is neither all inclusive nor meant to be an endorsement. There are more than 800 mail order companies specializing in a wide range of food by mail, “each averaging about $1.5 million sales.” As you may imagine, fruit, steaks, dairy, and alcoholic beverages account for most of the sales. Examples of these include: Harry & David, Swiss Colony, Figi’s, Wisconsin Cheeseman, and 800 Spirits. The “gourmet” portion of mail order sales comes mostly from companies that have retail operations. Companies such as Zabar’s, Sutton Place Group’s Balducci’s, and Williams-Sonoma promote their products with seasonal catalogs. The Entrepreneur Press provides practical applications covering everything from startup basics to business planning, advertising and marketing advice, global marketplace expansion and more, always supporting entrepreneurs with clear-cut information and guidance they need. Primary focus: Specialty food and gourmet food products. Monthly online eZine by and for food entrepreneurs. Primary focus: Business-to-business magaÂ­zine edited for those individuals who design new and reformulated food products for the retail and foodservice markets. Primary focus: Gift basket marketing and promotion. Design features, tips, industry news, and new products. Primary focus: Industry magazine featuring new product and trade show information for gift, gourmet and gift basket retailers and professional. Primary Focus: A monthly EZine for Retailers of Gourmet Products. Primary focus: “The business newspaper for the gourmet industry.” Reports timely and newsworthy stories and events, issues, trends and other happenings among the specialty food and natural-food retailers, supermarkets and department stores, specialty distributors and suppliers to the trade. Primary Focus: Rave Reviews! Magazine is the preeminent source for creative design ideas featuring gourmet products and gift baskets. A national industry magazine published six times a year, the pages are filled with insightful articles to strengthen business awareness and beautiful designs to spark creativity. Rave Reviews! Magazine also sponsors an annual convention—Basket Connection—offering business, design and marketing workshops to help retailers grow their business. 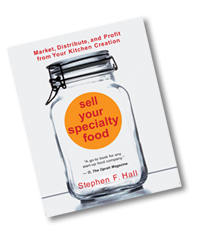 Primary focus: All aspects of the specialty food industry. Strong retailer emphasis.